Mordenite; cymene; 𝑝-cymene; kinetics; isopropylation; toluene; silica. Mordenite (HM) catalysts with three different Si/Al ratios were compared for their activity and selectivities in gas phase toluene isopropylation with isopropanol. 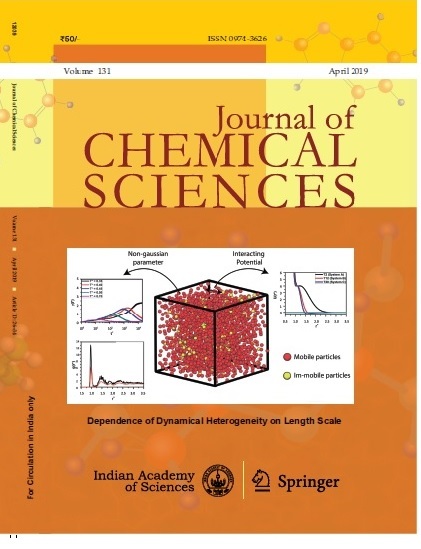 Catalyst with Si/Al ratio 44.9 offered better cumene selectivity, hence, it was chosen for detailed kinetic investigations. The influence of various process parameters like temperature, time-on-stream, weight hourly space velocity (WHSV), reactant mole ratio on this catalyst activity are discussed. The cymene selectivity was found to increase with reaction temperature and passed through a maximum at 473 K. The deactivation with time-onstream is almost negligible. Lower isopropyl alcohol concentration in the feed improved cymene selectivity. The conversion and selectivity to cymenes were compared with those of the large pore beta catalyst. The rate constant and activation energy were found to be 7.34 m3/kg h and 41.84 kJ/mol, respectively using homogeneous kinetic model.